This is more than one artist with this name. 1. Christopher Alan (Chris) Young (born June 12, 1985 in Murfreesboro, Tennessee) is an American country music artist. In 2006, he was declared the winner of the television program Nashville Star, a singing competition which airs on the USA Networks. After winning, he was signed to RCA Records Nashville, releasing his self-titled debut album that year. 2. Chris Young (born Christopher Katrell Young on July 30th, 1989) is an American rapper-songwriter, poet, and producer, using mesh-ups of hip-hop, electronica and jazz. At the age of 15, Chris Young's album Let Me Live was reviewed on rapreviews.com as one of the top albums of 2004. Since then, under the moniker of "YoungOne", Chris recorded several other albums. After taking 2nd place in a Los Angeles battle, he dropped the YoungOne alias and became strictly known as Chris Young. 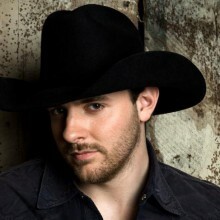 Respected venerators if you are reading this, you clicked on the page of the singer chris young in our eLyricsWorld. Our database consists of information about 52389 artists from all over the world also 829824 songs 91 of which are from chris young. Except for the artist's biography, on this page you can see brief information about them, which includes date of birth, style, record label Be conversant with all the news with chris young by adding RSS link. If you prefer you could directly visit the address you are on at the moment and look through the latest songs about the singer.